It’s the new year and people are optimistic. New years resolutions to get in shape, eat healthy and stay on top of your lifestyle. 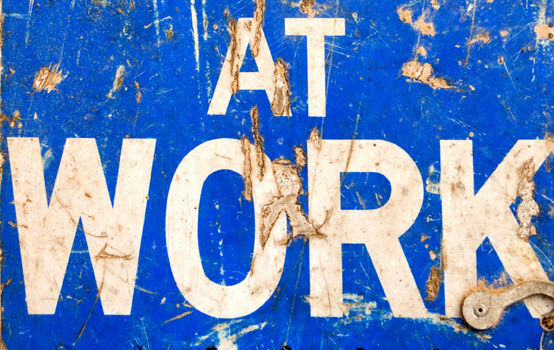 Unfortunately as you start to begrudgingly trudge back to work you realise the limitations of staying healthy due to the conditions you work in. Poor cooking surrounding, half hour lunch breaks and an office full of cake eating colleagues. It’s a recipe for disaster. Fortunately you’re in luck as we have a list of 43 of our favourite healthy snacks suitable for those who work in limited office environments. These snacks are all desk proof. Sure some of them may need a little preparation but making these changes now can help you feel good long term. Not only will it make you feel better but you should also perform significantly better by losing that lethargic you and having more productivity due to feeling good. Within reason you can stay healthy and maintain a balanced diet by moderation but the snacks below can help you meet your recommended amounts of protein, fiber, carbs. and fats. If you’re limiting carbs then you may head for more protein heavy snacks. Bananas combat depression, make you smarter, cure hangovers, relieve morning sickness, protect against kidney cancer, diabetes, osteoporosis and blindness to name just a few. They are a great addition to your diet and a low cost effective snack to have part of your diet. Still not convinced? There’s 25 more reasons here as to why you should start eating them. Fibre is an important part of a balanced diet and Apples have it in abundance. The average Apple is around 50-80 calories and is a great snack. Apples are also available in a number of varieties meaning you can switch up the type of apple you snack on. Although apples contain ‘natural sugar’ the health benefits far outweigh the negative aspects of an Apple. They should however be eaten at the right time of the day. Blueberries are a rich source of anthocyanins, flavonoids and phenols, such as chlorogenic acid, quercetin, lutein and kaempferol. These are anti-inflammatories and antioxidants which strengthen the body’s defences against free radicals. So eating blueberries could help protect against cancer, heart disease and age-related degenerative diseases. Blueberries are also relatively low in sugar content when you take into account fruits so are a great berry snack. They are also extremely well priced and can be purchased all year round. Raspberries are commonly referred to as a weight loss fruit given they are low in calories and high in fibre content. Raspberries and other berries are fantastic sources of antioxidants and should be a part of your recommended daily two cups of fruit as often as possible. Carrots are a great veggie alternative to snacking. They recommend that you eat 3 vegetables and two pieces of fruit a day so Carrots can be a simple fact for snacking. 100grams of carrots are approximately 40 calories meaning you can snack on this delightful vegetable daily. They also happen to be one of the cheapest vegetables and have fantastic health benefits including Vitamin A.
Celery sticks often get unfair criticism for being boring and containing nothing but water but the health benefits cannot be ignored. Celery is easy to snack on and at 16calories in 100grams it’s a fantastic source of veggie to keep you ticking in the right direction. 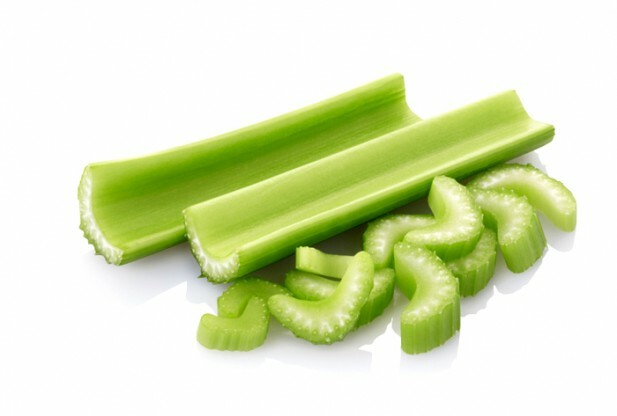 Celery is also extremely competitively priced, easy to prepare and ready available. Cherry tomatoes are a real diamond in the rough when it comes to healthy snacks. In addition to the 1.3 grams of protein, 1.8 grams of fiber and 20 milligrams of vitamin C in 1 cup of cherry tomatoes, you also get a healthy dose of other vitamins and minerals essential for good health. 5 raw cherry tomatoes comes in at a mere 20 calories and is a superb snack to have while at your desk. They are also extremely inexpensive meaning it wouldn’t cost you the earth to stay healthy. They also require no preparation and are typically ready to eat from the pack. Monkey nuts are good for you because they are rich in nutrients. They are rich in calories, low in carbohydrates and high in fat. The high fat content contained in these nuts has unsaturated fats which are healthier than those that are saturated while they have a high source of protein which is great for building muscle. Nuts get bad press due to the fat levels however these are good fats which your body is able to use effectively. Monkey nuts are recommended as they are in their natural state, before roasting and therefore a great snack. Be cautious about how many you eat and limit to a handful daily to get the benefits. Anymore and you may exceed your calories. Walnuts are slightly more expensive than Monkey nuts but can be picked up from most supermarkets. Adding them to your diet and having them as a snack is advised due to the nutritional benefit. Eggs the king of the protein! Not only are eggs a great source of protein but they also have unsaturated fats which are great for the body. Boiled eggs require very little preparation and can be made in batch and refrigerated for a number of days. Unlike scrambled and fried eggs that necessitate the use of oil or butter during their prep. Boiled eggs typically are around 80 calories so are a great source of protein. Given one boiled egg equates to 12% of the recommended protein then with the low levels of calories you can really get your protein sources effectively. Boiled eggs are my favourite snack given the ease and subsequent health benefits for the body. The kind of the weight loss cheeses, cottage cheese is a staple in anyone’s diet wanting a low calorie, high in protein snack. The protein count is excellent yet the calories are low. 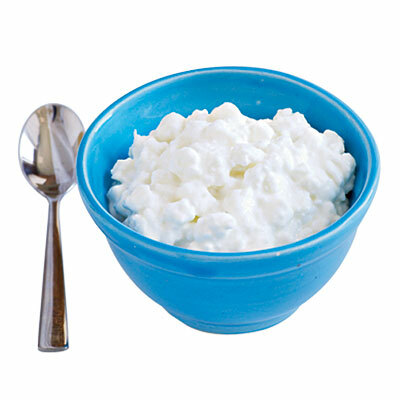 Cottage cheese also has a significant level of healthy fats another essential part of a balanced diet. Cottage cheese is also versatile and can be used as a dip for the vegetable options mentioned above. This snack allows you to reach your protein goals without consuming unwanted calories like other cheese varieties. 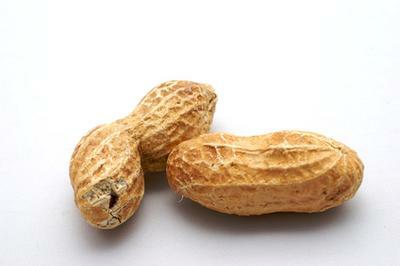 Peanut butter or peanut spread is the result of monkey nuts and is another great snack. It can be eaten in a variety of ways depending on your diet. The organic, no added sugar spread is the best variety as you typically get it in its as natural as possible. Peanut butter also contains huge amounts of protein and fiber which keeps you fuller for longer. Don’t let the amount of calories trick you it’s a great snack which can be enjoyed on it’s on. It is also a great ingredient in a number of healthy bakes. Also known as the king of the night time snack; quark is a low fat cheese which packs huge amounts of protein. 11.3grams to be precise can be found in just 100g serving. The best time to eat this is actually in the evening due to the high casein protein content (slow releasing all night). 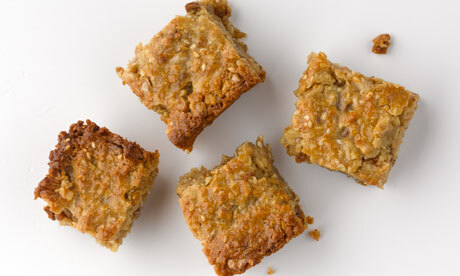 But don’t let this put you off as an office snack as it’s a great addition to your arsenal. Can be kept in the fridge and is extremely versatile. Some like to eat it on it’s own whereas others would mix with some flavoured protein for a dessert snack. Equally you can dip in your vegetables as a protein packed dip variation. Don’t worry it’s not all vegetables, boiled eggs and fruit portions we can also have fun with this too (I know vegetables aren’t for everyone). Healthy bakes have become a little bit of a phenomenon online. People want healthy varieties of the foods they love to make sure they cater for their craving. It’s perfectly understandable. Here’s some of my favourite bakes to make up the list. These are all absolute delights so enjoy! I actually cook these on a weekly basis and typically consume 1 or 2 of these a day. 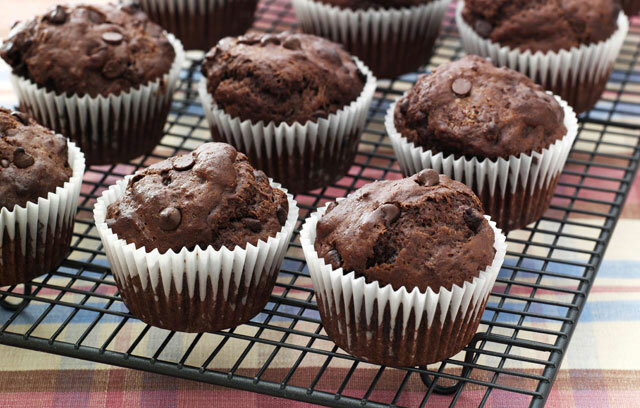 I take out the chocolate chips purely because the taste of the muffin alone is enough for me and I replace some of the unsweetened cocoa with whey protein (chocolate variety). These muffins are incredible. I’ve introduced them to friends and family members and they are a great snack to have around the office. The recipe above makes enough for the week so place them in freezer bags and take one out before you set off to work in the morning. It will be defrosted and ready to eat by snack time.